Discusses applications including scattering from airborne targets, scattering from red blood cells, radiation from antennas and arrays, metamaterials etc. 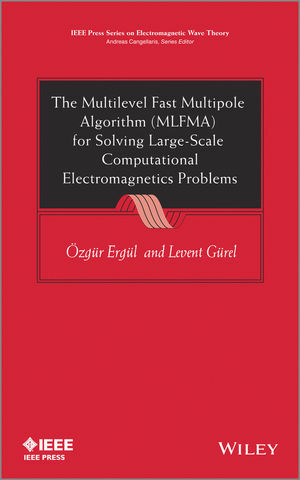 The book will be useful for post-graduate students, researchers, and academics, studying in the areas of computational electromagnetics, numerical analysis, and computer science, and who would like to implement and develop rigorous simulation environments based on MLFMA. Ozgur Ergul received B.Sc., M.S., and PhD degrees from Bilkent University, Turkey, in 2001, 2003 and 2009, respectively, all in electrical and electronic engineering. Levent Gurel received the B.Sc. degree from the Middle East Technical University, Turkey, in 1986, and the M.S. and PhD degrees from the University of Illinois at Urbana-Champaign in 1988 and 1991, respectively, all in electrical engineering.